​Armand started cycling in 2012. Pushed by an adventurous spirit and motivations for some travelling, he cycled 1.984 KM in Portugal in 15 days in 2013 with a backpack and a feeling of being completely free. Armand guides the long distance high level sportive tours. He has been living in Nice since he was 4 years old. The surrounding mountains and the Mediterranian sea is his playing ground. 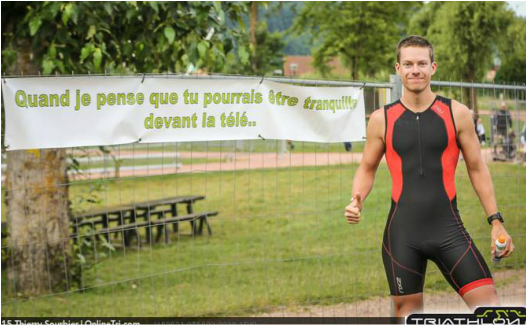 By the end of 2013 Armand started to do triathlons. He is has a long track record of Ironman full distance competitions getting stronger and having fun every time. On 7th July 2018 he finished nb. 4 overall at the Altriman in France and won his agegroup. The same race, he finished In 2017 as nb. 6. Armand likes the mountainous hard challenging triathlons. He has also finished, Embrunsman, Alpsman and Xman Romania and various Ironman competitions. Extreme triathlons motives him: “I like it when there are breathtaking landscapes, mountain passes one after another and a difficult marathon at the end”, he says. Autonomous in his trainings, Armand works on his weakpoints and modifies his schedule continuously. He is aiming at participating in more extreme triathlons in beautiful places around Europe. "People are asking me how I can do 4 extreme triathlons in a year and I answer: a lot of rest, a healthy diet and always listening to my body!" Armand will be happy to give you some training advices in cycling, running, swimming and to show you beautiful places on the Riviera. He also knows the addresses of a lot of good pastries in the area where you can get perfect refill after a hard training!